Hi everyone! There is a new mini album in the shop this week and the colors on this one are fabulous! 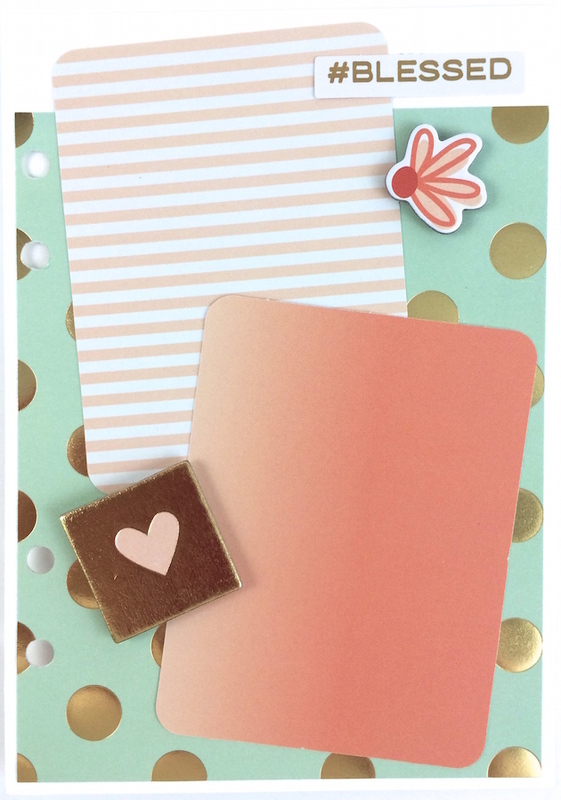 When I visited the National Craft and Hobby Show this past January, the most popular, on trend colors at the show were gold, mint or aqua, and salmon. The collection I used for this album by My Mind's Eye lives up to it's name ... "On Trend". 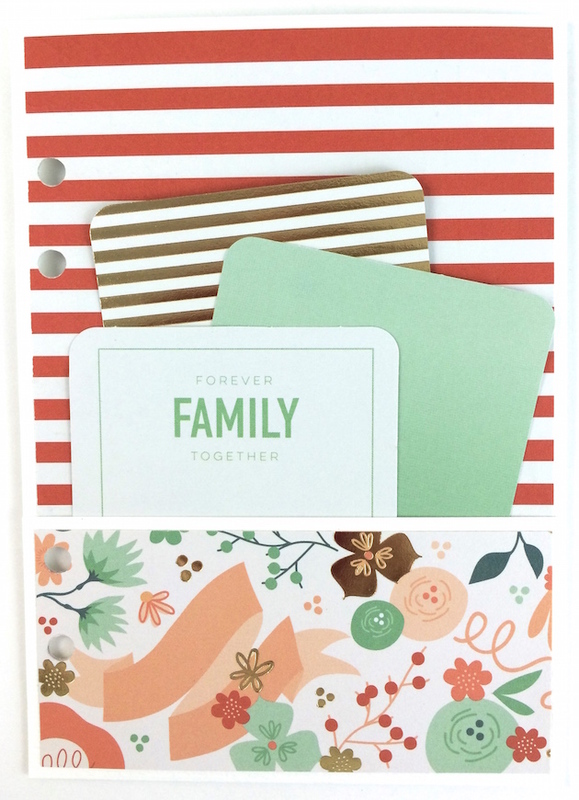 I paired the paper and embellishment collection with one of Heidi Swapp's 5x7 Memory Binders to create this fun new mini album. It would be perfect to give as an engagement gift, but it really works perfectly for all occasion photos too.